When it comes time to change your oil, rotate your tires, or diagnose a check engine light, bring your Chrysler vehicle into the experts at Rockie Williams' Premier Dodge Chrysler Jeep Ram. 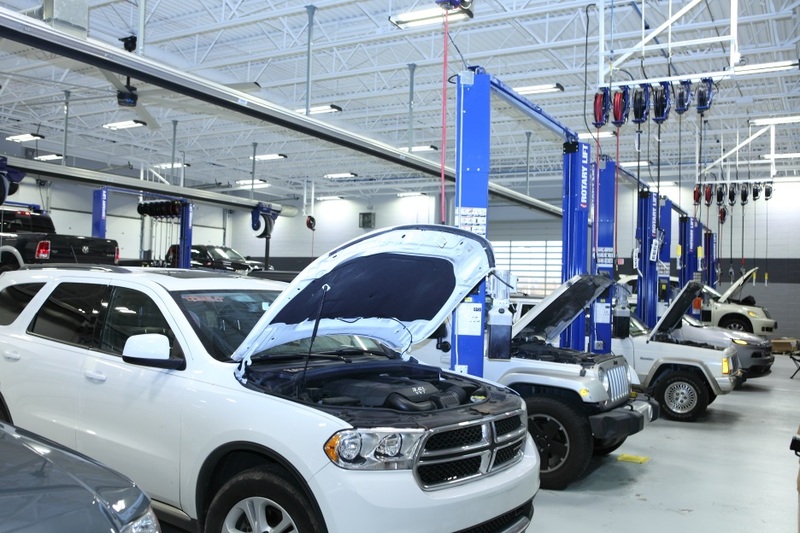 We're your number one source for Chrysler service near Murfreesboro, Tennessee, and when you come to visit our Chrysler dealership for service, you will quickly understand why. By bringing your Chrysler car or van in for service at the dealership, you'll not only get incredible service, you will also benefit from our factory-trained mechanics and genuine Mopar parts. Swing by our dealership and see us today! Service your Chrysler vehicle at your trusted Murfreesboro, TN Chrysler dealership. The expert mechanics at Rockie Williams' Premier Dodge Chrysler Jeep Ram can handle all of your Chrysler service and maintenance needs near Murfreesboro, TN. Come see us for your next 30K or 60K service appointment, fluid flush, front-end alignment, or engine diagnostic. Our expert Chrysler service technicians can do everything from adjusting your timing belt and replacing your alternator to rebuilding your engine. We know your time is valuable, which is why we make visiting our Chrysler service center easy with the Mopar Express Lane for quick maintenance and convenient Saturday hours and drop off service to work around your schedule. Plus, we have a 3,000-gallon aquarium and a children's playroom to make your wait more enjoyable. Swing by our Chrysler dealership today! If you live near Murfreesboro, TN, make the next service appointment for your Chrysler 200, Chrysler 300, or Chrysler Pacifica at Rockie Williams' Premier Dodge Chrysler Jeep Ram. Give us a call, use our online form to schedule service, or just stop by to see us in person. How can our dedicated team of Chrysler mechanics help you today?